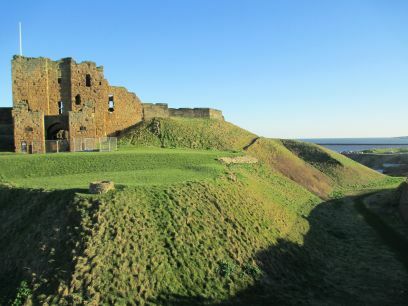 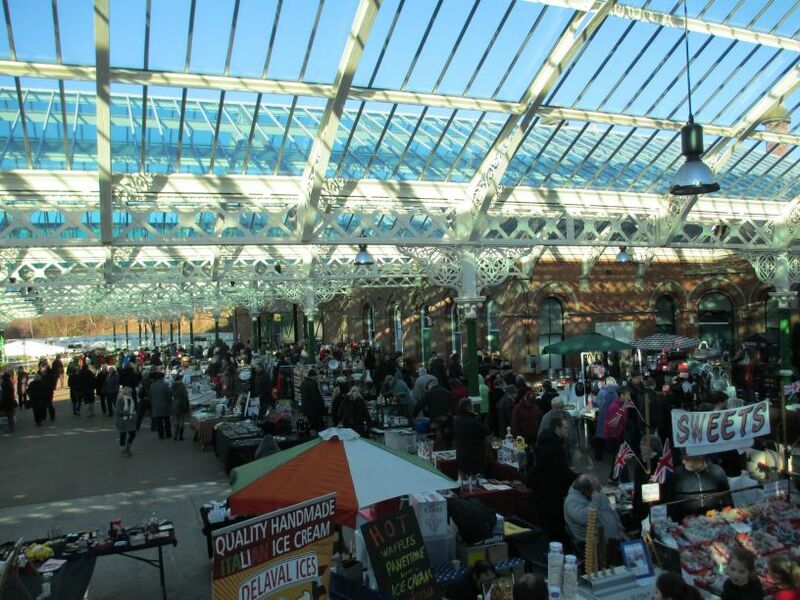 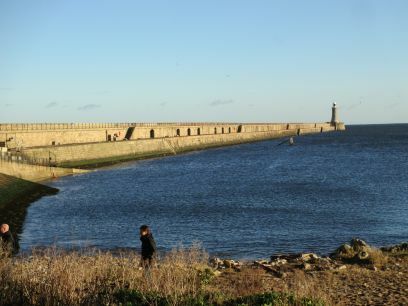 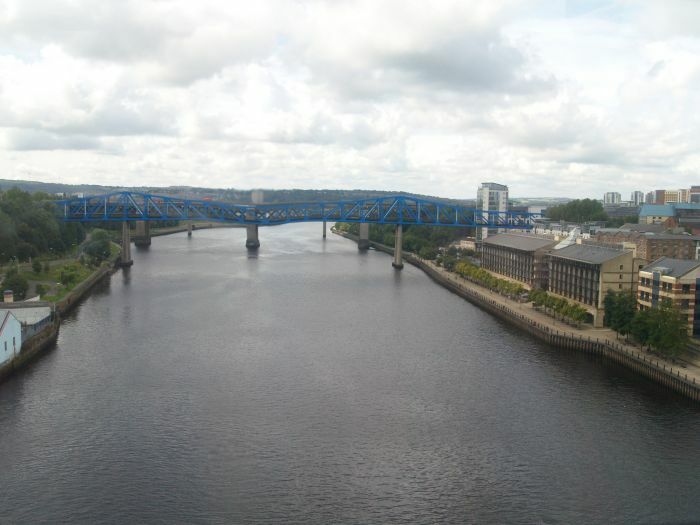 Serving the urban areas around Newcastle in Northumberland and Gateshead & Sunderland in County Durham. 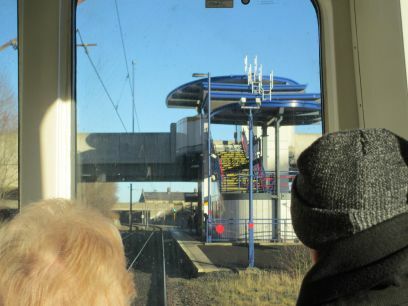 Most pictures taken on Jan 11th 2014, a lovely bright day for Metro train ride to the coast! 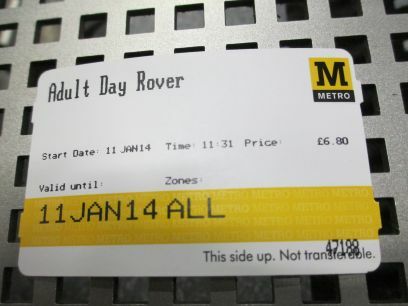 Tyne and Wear Metro train service: Day Rover ticket for all 3 zones for only £6.80, fabulous value! 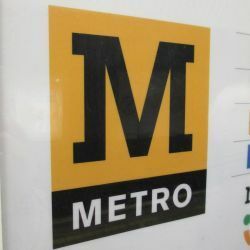 Tyne and Wear Metro train service: For a really good cheap local frequent commuter and pleasure service. 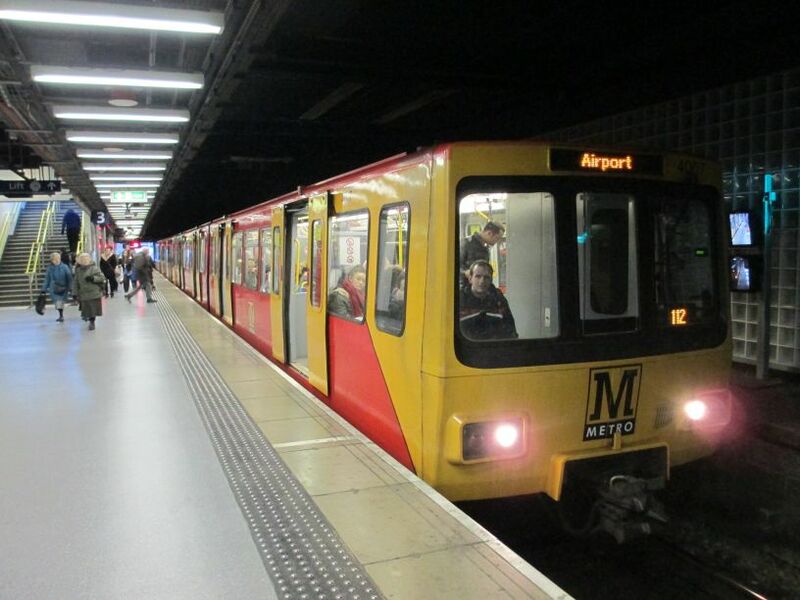 The four carriage trains of the Tyne and Wear Metro system consist of 2 x 2-car sections built by Metro-Cammell, Birmingham. 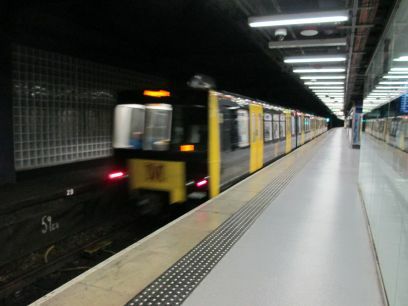 They have a top speed of 80 km/h (~50 mph). 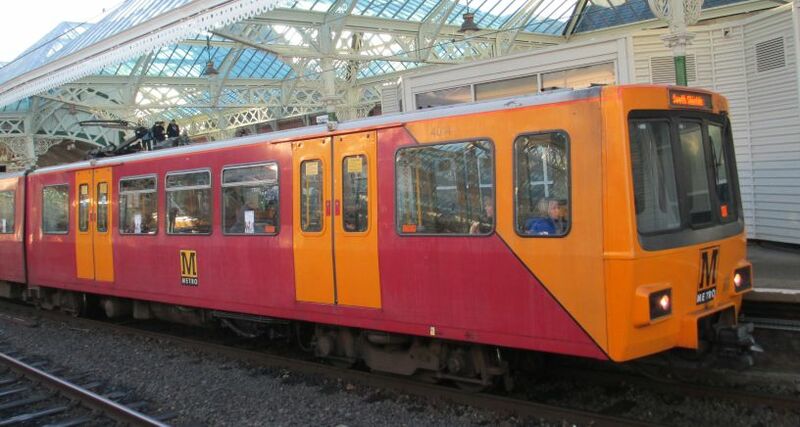 Their wheel arrangement is B-2-B and the 1500 V DC power supply is accessed by an overhead pantograph system. 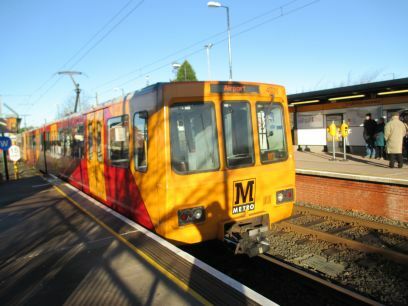 The Tyne & Wear Metro is owned by Nexus (the Tyne & Wear PTE) and operated by DB Regio. 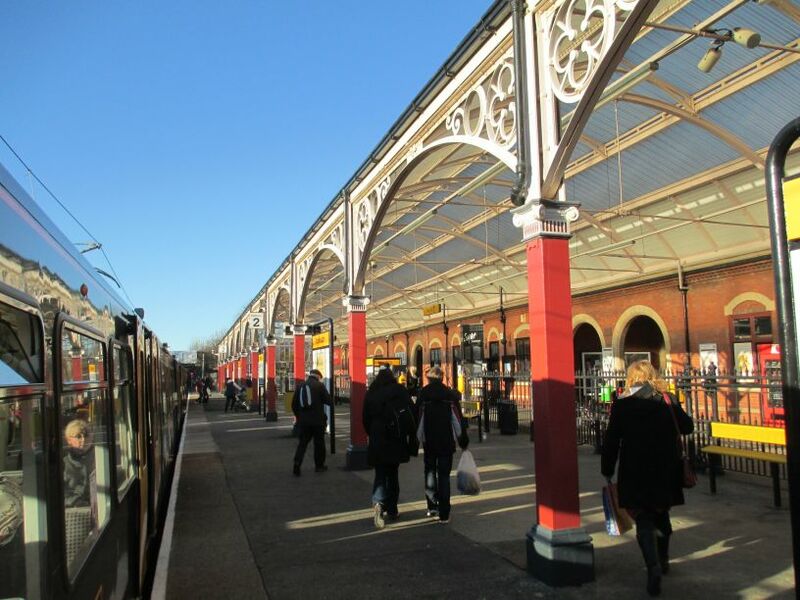 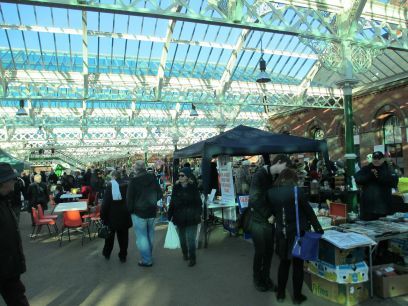 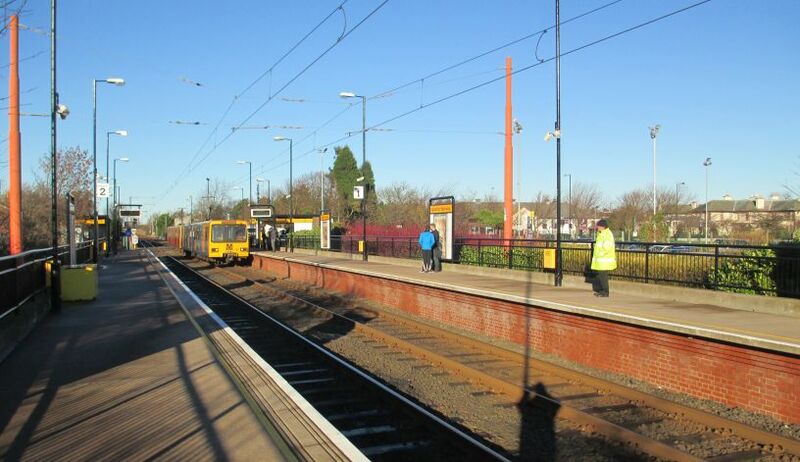 The depot and workshops are at South Gosforth. 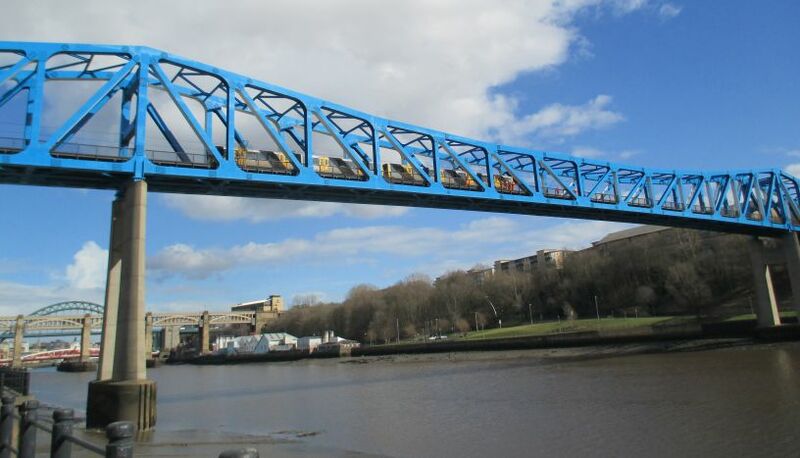 A Tyne & Wear Metro train passing over the Queen Elizabeth II bridge from Gateshead Metro station to Newcastle Central Metro station. 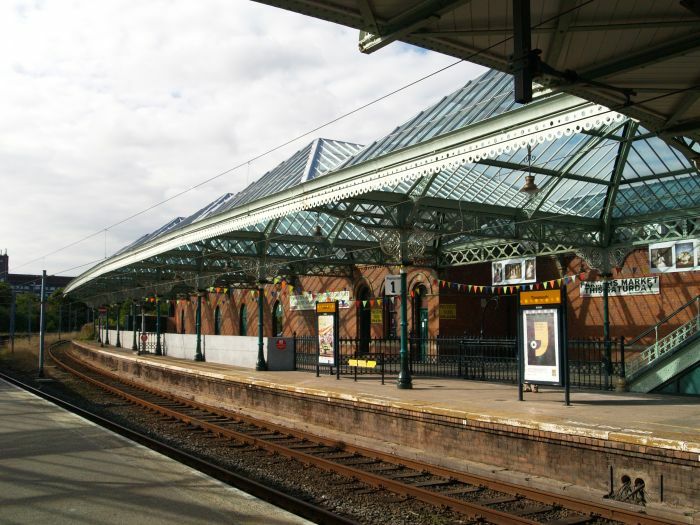 Fast acceleration from Sunderland station! 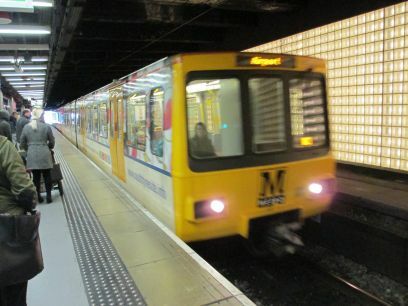 Tyne and Wear Metro train service: A Metro train from the Airport entering Collerton Parkway station. 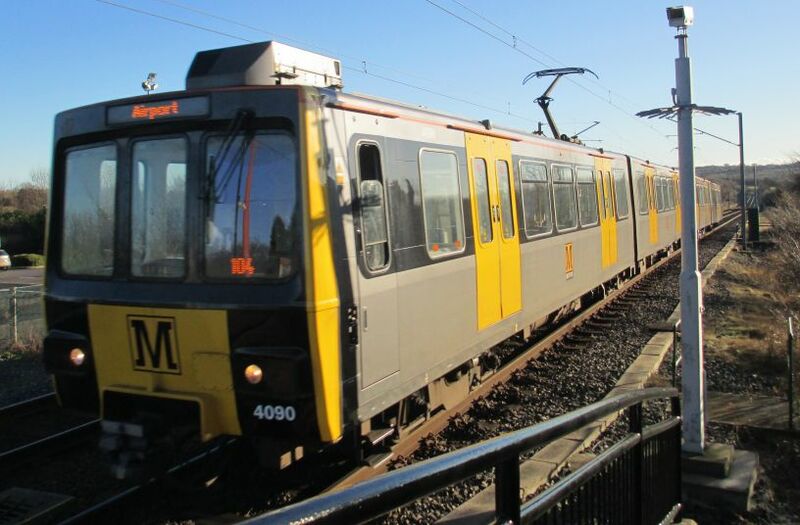 Tyne and Wear Metro train service: Metro 2-car set 4035 heading a Metro train at Collerton Parkway station. 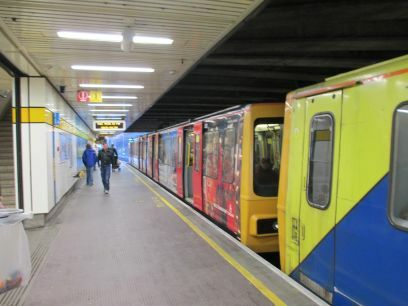 Set 4035 carries the standard blue and yellow livery, whereas the rear 2-car carriage set are painted in the red and yellow livery. 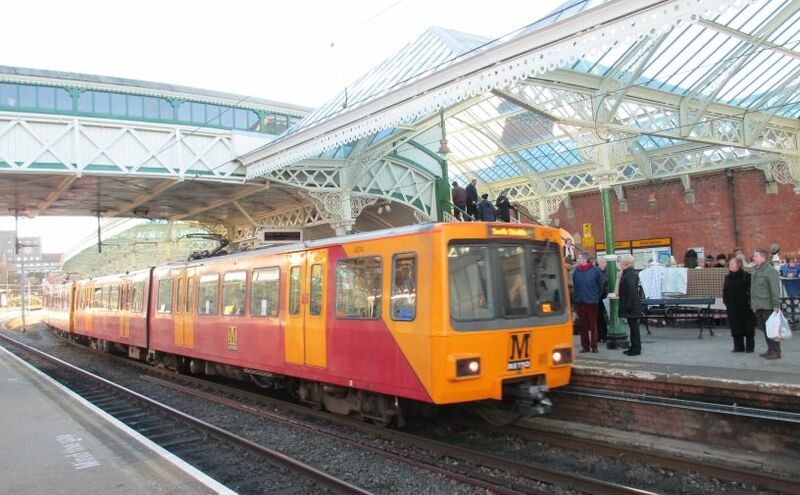 Tyne and Wear Metro train service: Metro two car set 4028 climbing up into Collerton Parkway station with a Metro train for Newcastle Airport. 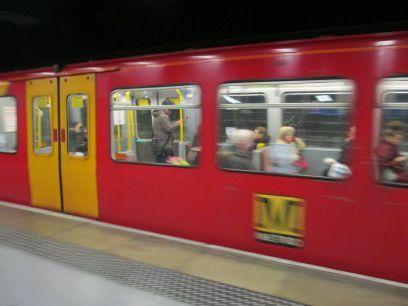 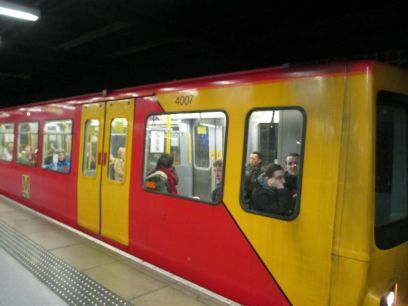 Again the two-section carriage sets are in yellow and red livery and yellow and blue livery. 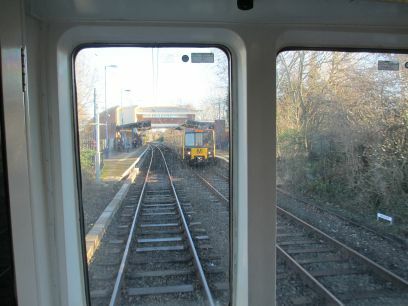 Tyne and Wear Metro train service: Metro 2-car set 4090 (grey and yellow livery of the New Tyne and Wear Metro trains) at the head of train climbing up into Collerton Parkway station with an Airport train. 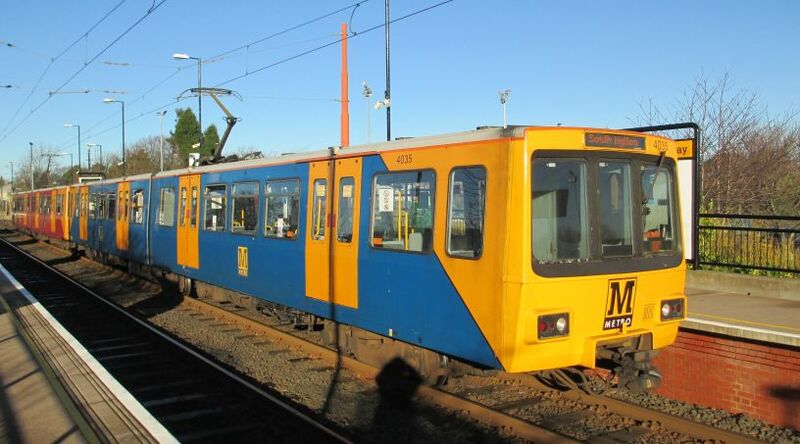 Tyne and Wear Metro train service: Metro two-section unit 4031 at Collerton Parkway. 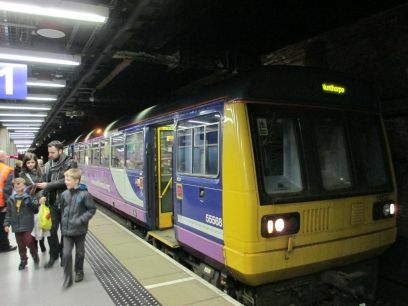 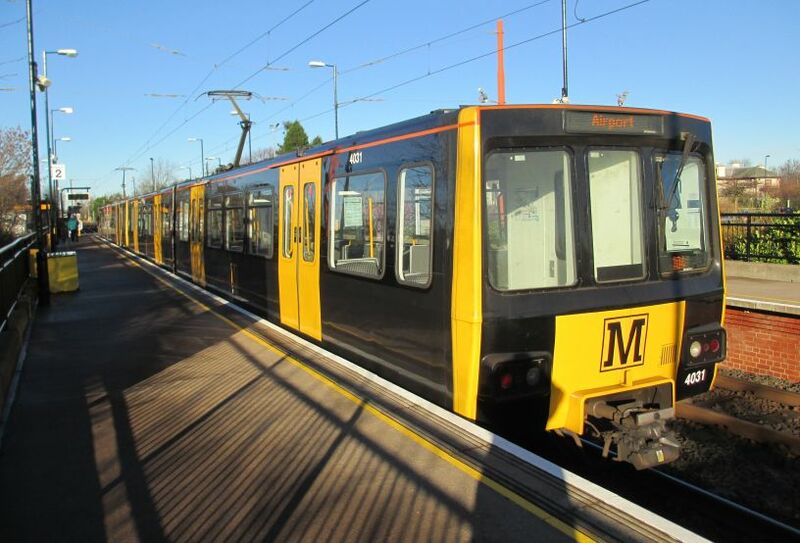 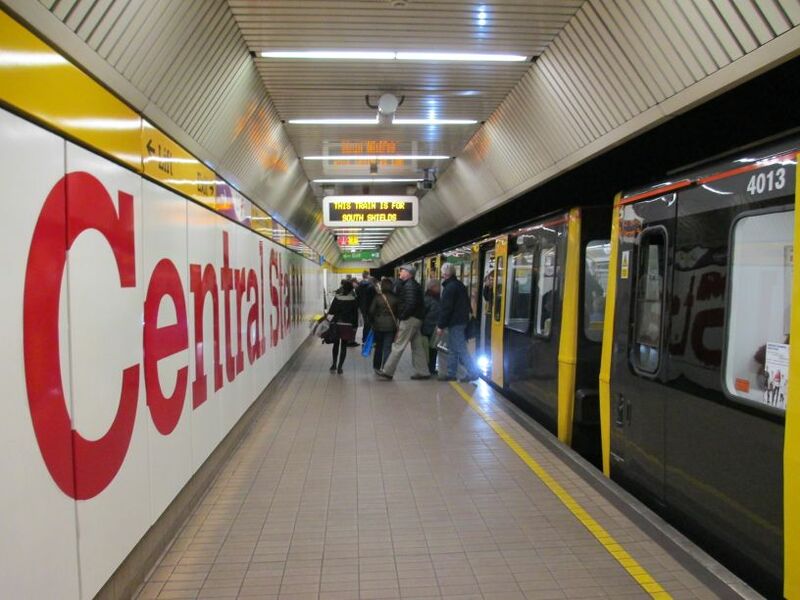 The 2-car Metro-Cammell sets carry a black and yellow livery of the New Tyne and Wear Metro trains. 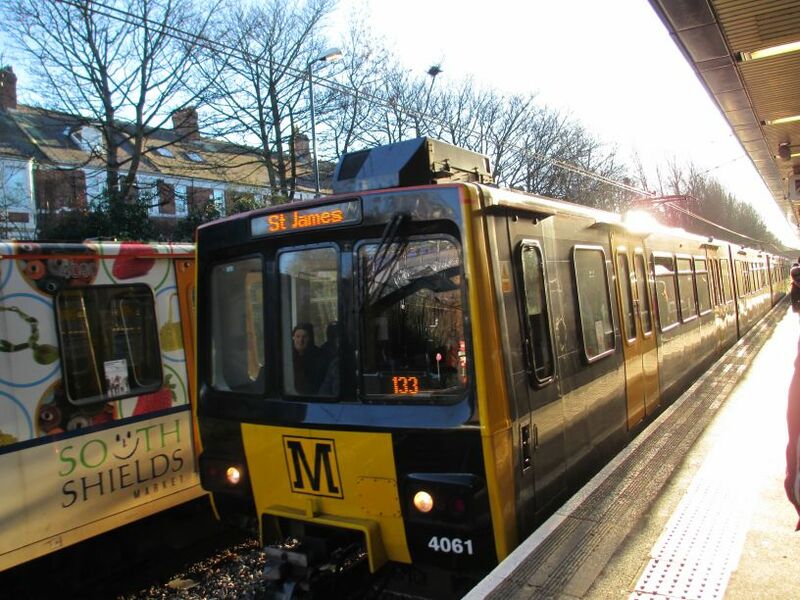 Tyne and Wear Metro train service: Metro 2-section unit Metro-Cammell 4061 at the head of the service train to St James at South Gosforth station. 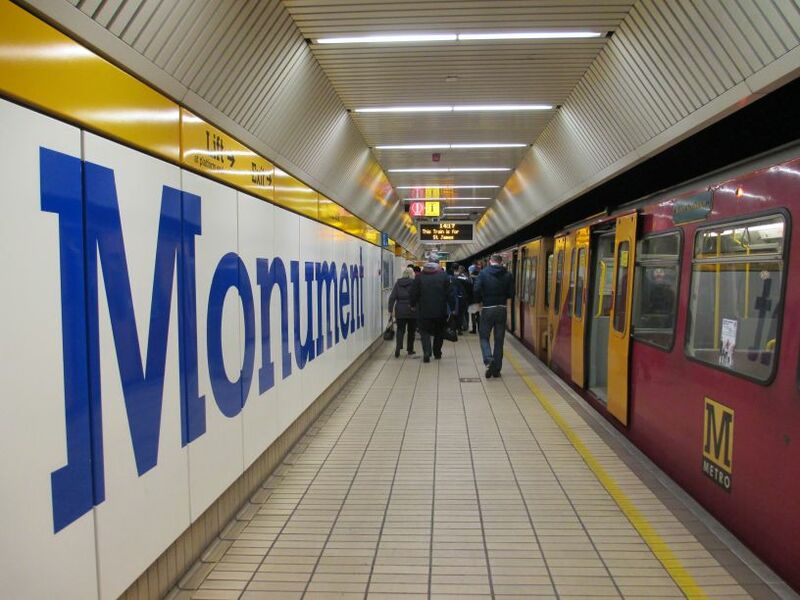 Tyne and Wear Metro train service: Monument Metro station beneath the centre of Newcastle. 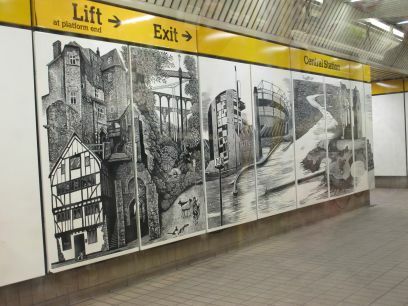 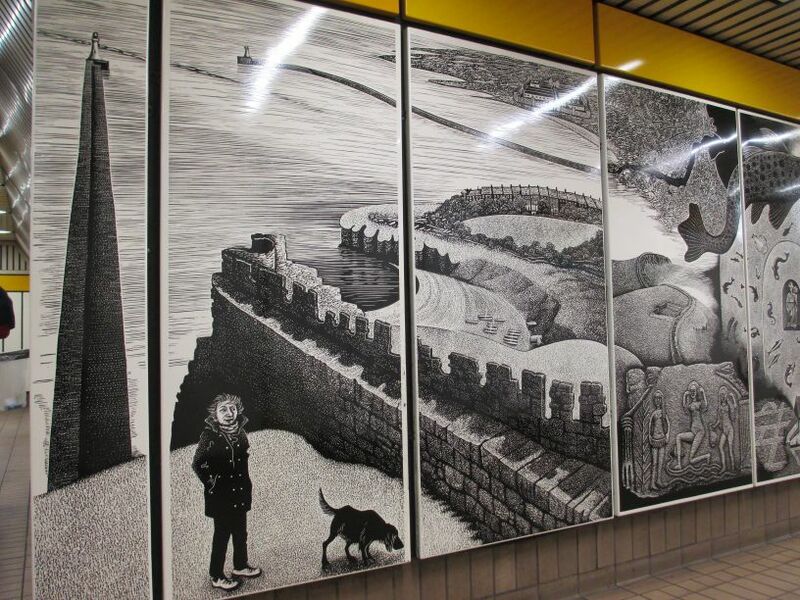 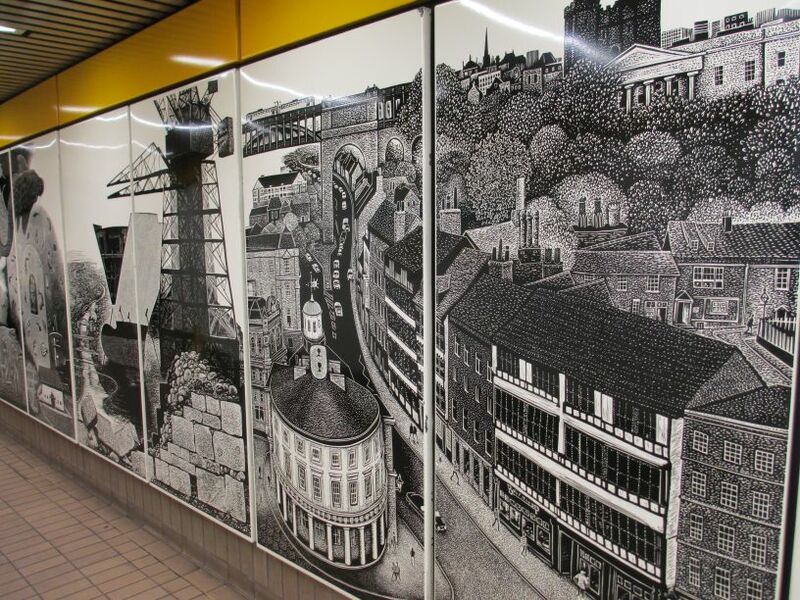 Tyne and Wear Metro train service: There are a great series of murals on the walls of Newcastle Central Metro station, from ship building to Bessie's house! 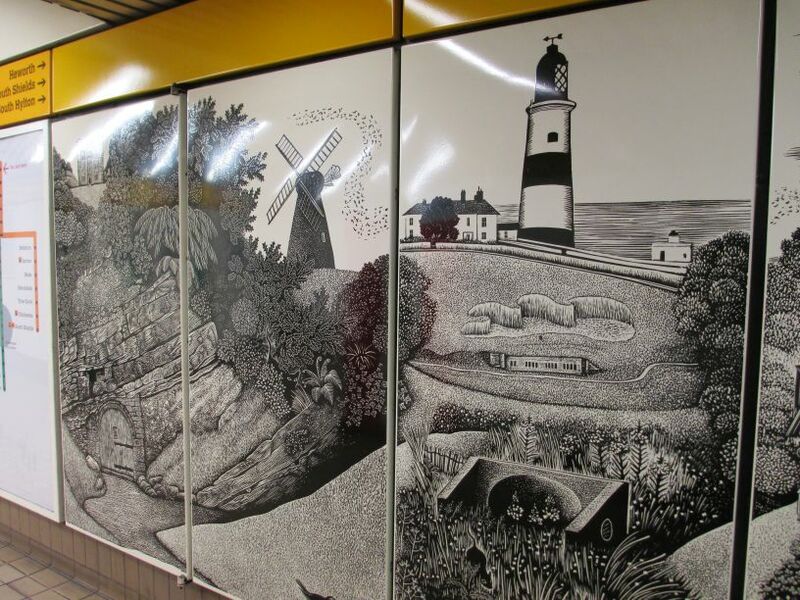 Tyne and Wear Metro train service: Another mural, windmills and lighthouses. 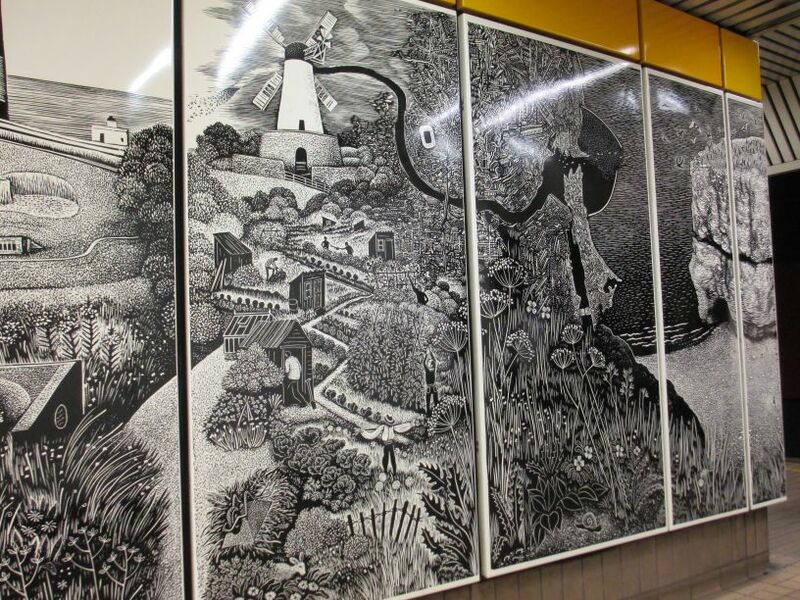 Tyne and Wear Metro train service: Industry, the sea and agriculture depicted on another mural. 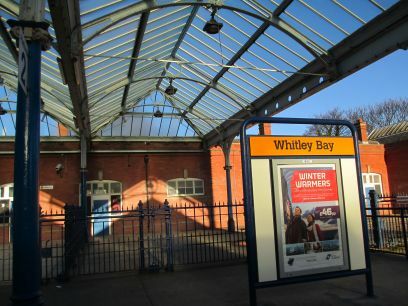 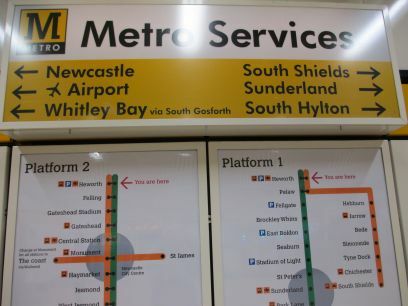 Tyne and Wear Metro train service: Heworth Metro station where you can change to/from local Northern Rail services. 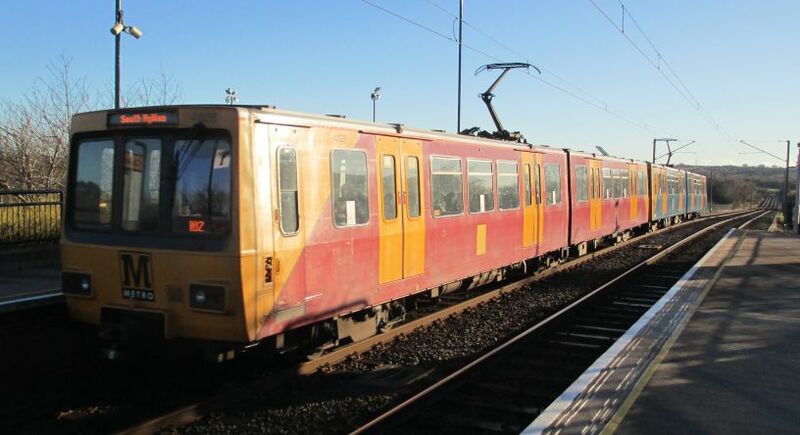 Carriage 2-car set 4083 in the middle? 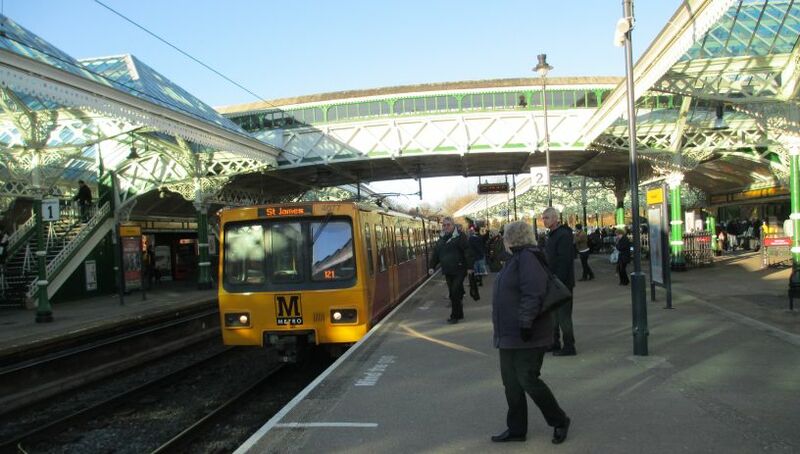 Tyne and Wear Metro train service: Metro-Cammell two-car set 4007 at the head of a South Hylton - Airport train in Sunderland station (the driver looking somewhat bemused at my taking the photograph! 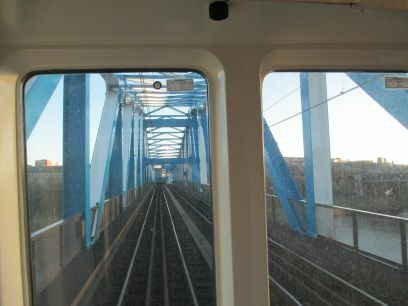 Tyne & Wear Metro: The blue Queen Elizabeth II bridge over the River Tyne carries the Metro line from Gateshead into central Newcastle. 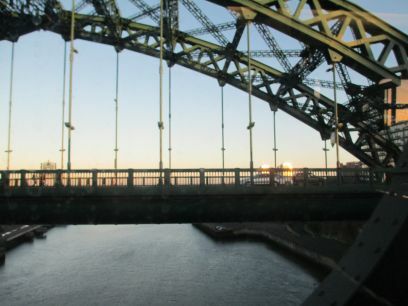 Tyne & Wear Metro: The Queen Elizabeth bridge carrying a Metro train over the River Tyne from Gateshead Metro station to Newcastle Central Metro station. 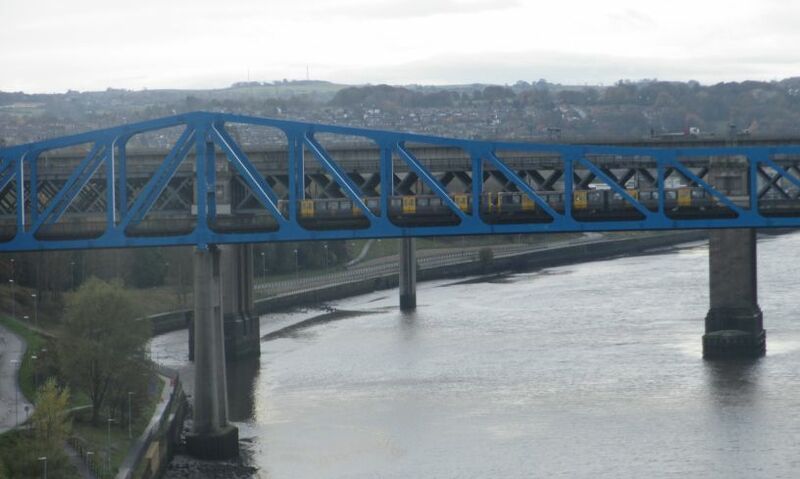 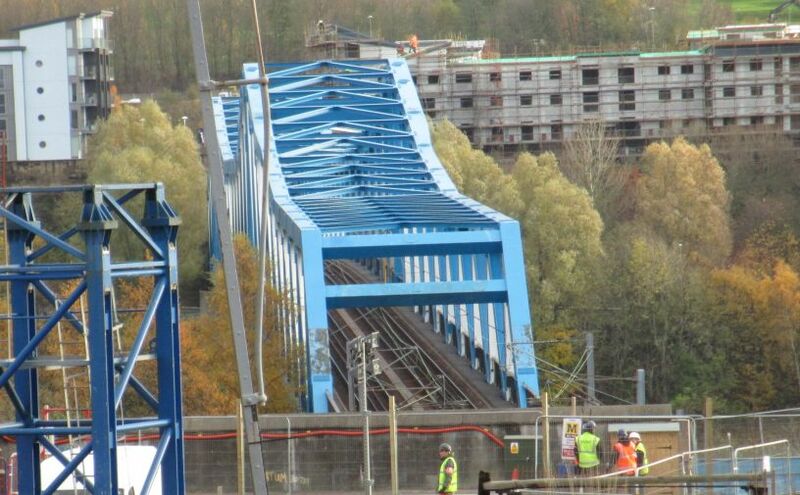 Tyne & Wear Metro: Telephoto shot of the blue bridge from Newcastle Station.